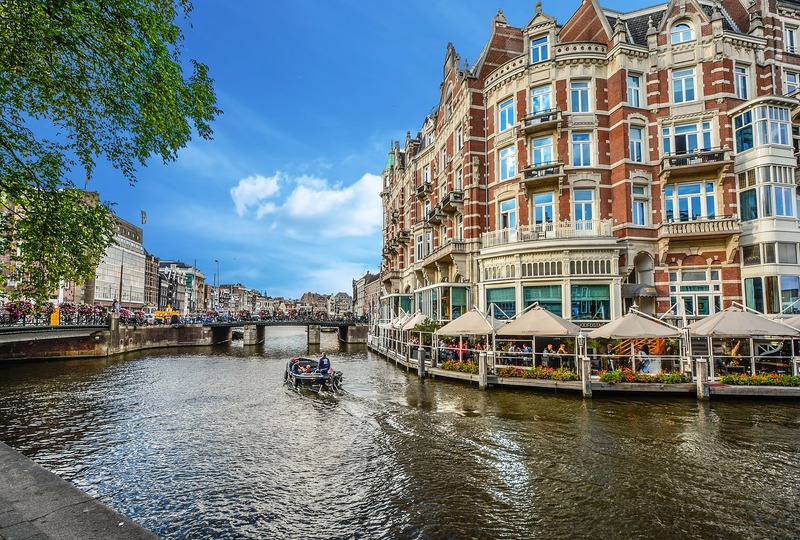 Amsterdam is one of those cities that has it all – sightseeing, shopping, history and top-class culture. The capital of the Netherlands is well-known for its laid-back style, cosmopolitan neighbourhoods and popular nightlife scene. Oh, and those famous tulips, of course. And clogs! Can’t forget the clogs. But it’s not all hustle-and-bustle as Amsterdam – which has a population of approximately 850,000 people – also has a quieter side. This can be found in its cobbled streets, winding waterways and narrow houses with gabled facades. The gentle whoosh of a nearby spinning windmill is never far from ear either. Visitors are fond of its size – with many highlights within walking distance – and its popularity shows no signs of abating. The Passenger Terminal Amsterdam (PTA) is one of the busiest in northern Europe with approximately 300,000 passengers arriving each year. The terminal is a ten-minute walk from the city’s Central Station and 20-minutes from Schipol Airport. The PTA has numerous facilities, including luggage lockers, shops and places to eat. The world’s largest sea lock is also under construction at IJmuiden to enable vessels to access the Port of Amsterdam 24 hours a day. Some ships also arrive at Felison Cruise Terminal, in Ijmuiden, which has two berths. Anne Frank House: Located on the Prinsengracht canal, this is where Anne Frank wrote her world-famous diary during World War Two. It is possible to see the original diary Anne Frank received for her 13th birthday on 12 June 1942. It’s best to book tickets in advance, however, as the museum can get extremely busy. The Rijksmuseum: This museum, the largest in the Netherlands, attracts approximately one million visitors per year. It houses a collection of 17th century ‘Dutch Golden Age’ masterpieces from celebrated artists such as Vermeer, Rembrandt and Hokusai. Famous paintings include ‘The Night Watch’ by Rembrandt as well as Vermeer’s ‘The Milkmaid’ and ‘Woman in Blue Reading a Letter’. Guests can also visit the gardens for a drink at the 19th century coffee house. The Van Gogh Museum: There’s few artists in the world more famous than Vincent Van Gogh and so it is of little surprise that he has his own dedicated museum, fairly close to The Rijksmuseum – making it the perfect double act for a day out. The modernist exterior of the building belies the traditional artwork found inside. The building houses the world’s largest collection of works by Van Gogh, including hios most famous work ‘Sunflowers’, as well as paintings from some of his contemporaries. Roughly two million people visit each year – meaning it might be worth booking in advance! La Rive: If you prefer your dining to be fine, then this staple of the Amsterdam culinary set is an absolute must-try. De Taart van m’n Tante: Afternoon tea in Amsterdam? It might not seem a natural fit, but this cute little café serves cakes and treats well worth making the trip to De Pijp for. Dam Square: Built in the 13th century, the square is full of food stalls, cafes and bars, and serves an authentic slice of Amsterdam, as locals and tourists mingle. P.C. Hooftstraat: The high-end shopping street of Amsterdam has plenty of the major fashion houses and the odd Dutch favourite. Albert Cuyp Market: One of the largest open-air markets in Europe, this long stretch of road is full of tasty food stalls and quirky boutiques. Keep an eye out for the many bikes running through the city – it’s best to avoid walking in the bike lanes!